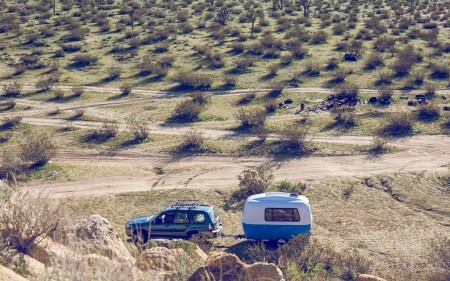 I saw a link of Facebook for this camper. It made my heart leap for a moment. 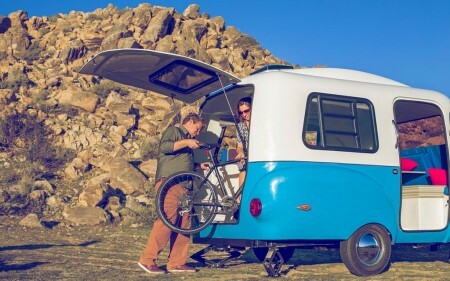 It is a tiny and lightweight (only 1100 lbs.) camper that has modular furniture inside that can be moved, stacked and adjusted for whatever you need. Here is a video showcasing that idea. 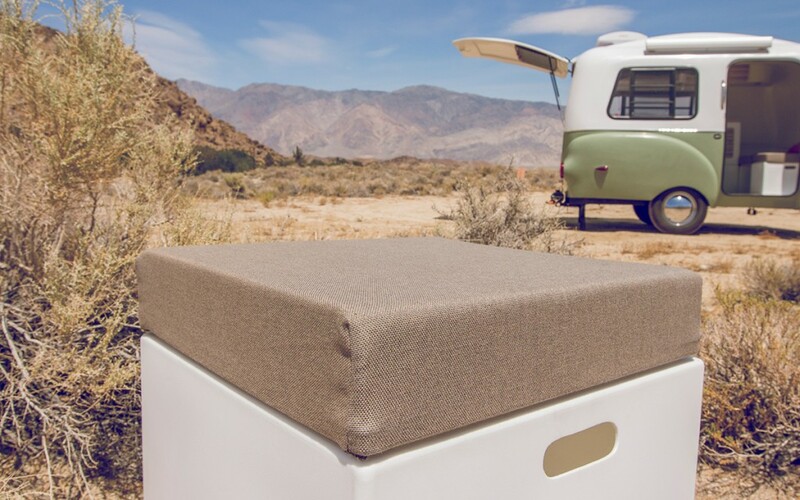 The modular furniture can be removed from the camper and used outside as well. 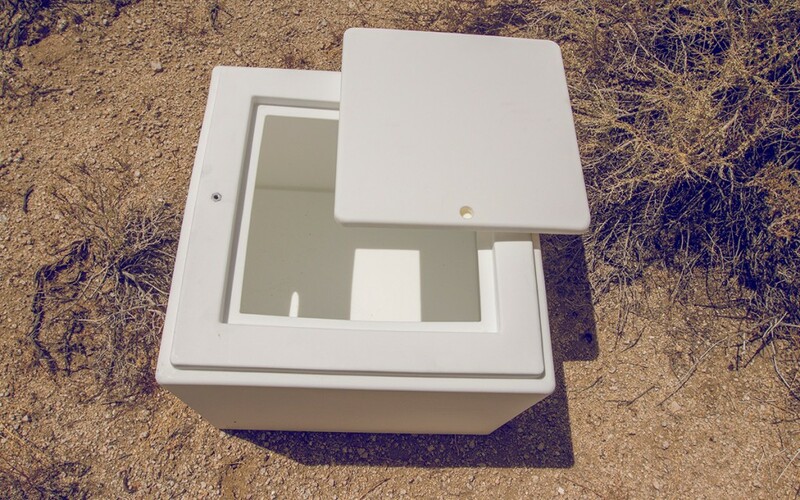 There is storage in the cubes as well. Here is another video showing some of the other features like the cool blind on the window and the lighting. 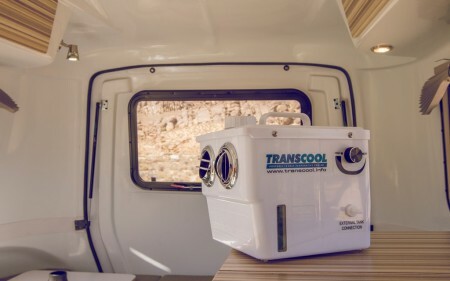 There is an optional Transcool cooler. They are a 12 volt cooling system that are supposed to work pretty well. 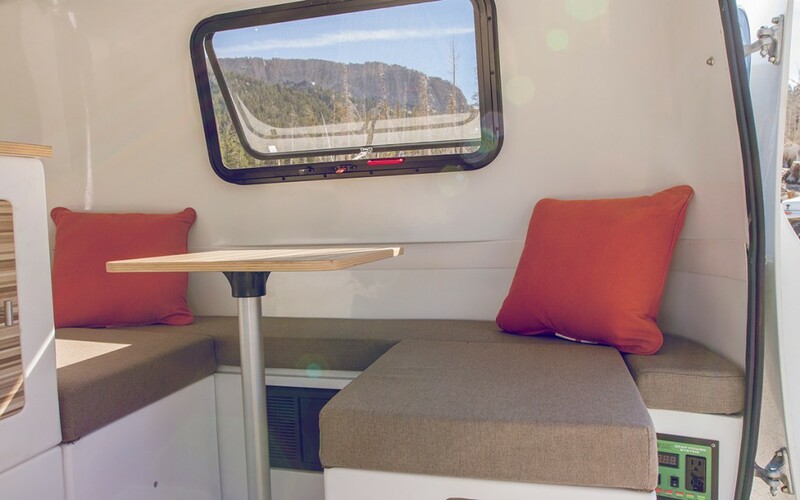 The table can be used in a wide variety of spots in the camper. There is a cute and lightweight awning that can give you some more shade. 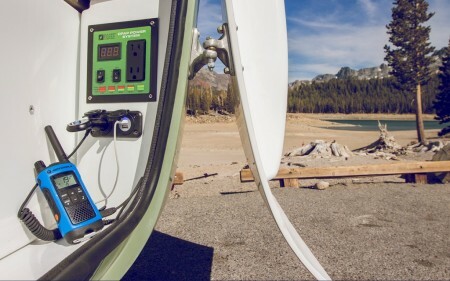 There is a spot to charge your devices using the 12 volt system. Now, here comes the part where my heart skipped a beat. 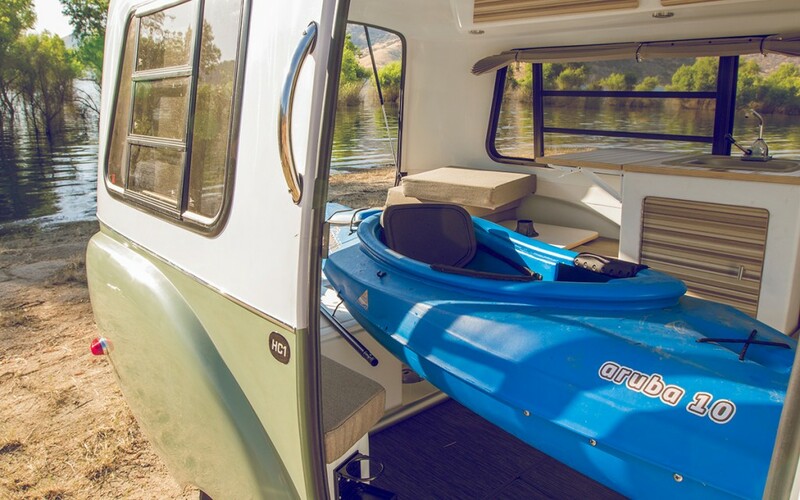 Because there is a huge hatch in the back of the camper, you can use it to store your gear. It’s big enough to hold a kayak. 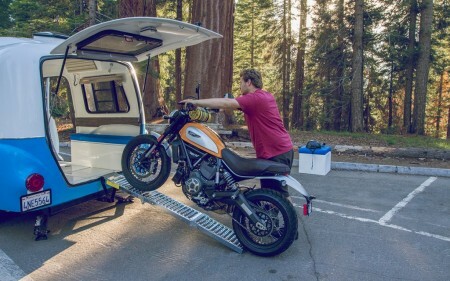 You can load up your mountain bikes into it. You can even use it to transport your motorcycle! 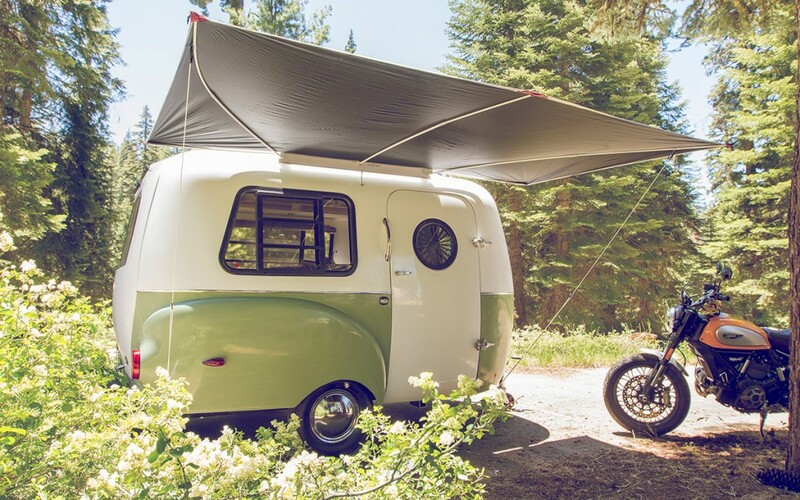 There is so much to love about this camper! The pricing starts at $15,950 for the base model, so it is actually cheaper than the base model T@b, which is really cool. 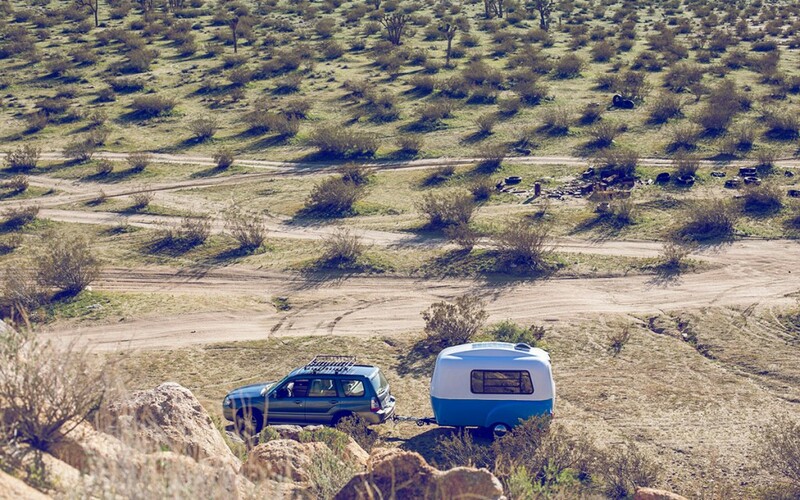 If you are looking for a tiny camper, this one has versatility down pat!